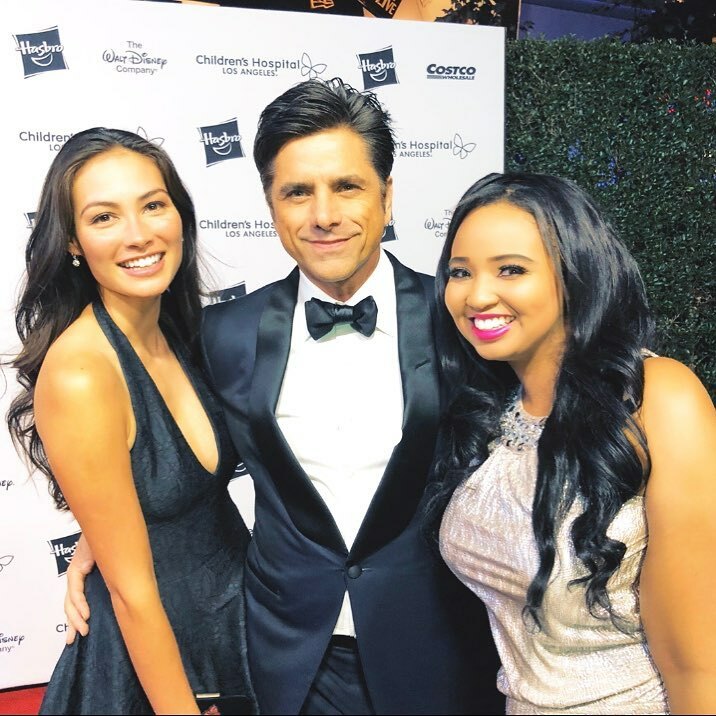 Former Miss Northern Virginia Teen USA and Miss Teen Icon winner, Francesca Ellana, has gone from pageant stages to the main stage of red carpet hosting. She is the owner and creator of PopFuzion TV and can be seen either in the studio or on the carpet interviewing some of Hollywood’s favorite acts. The Woodbridge, Virginia native is using her platform to promote positivity and inspire others to use their platforms to spread social good. Needless to say, she is one of our favorite people. How did you get involved in media? I’ve been involved in media ever since I can remember. It actually started when I was 11-years-old and my middle school TV Production teacher held me back in his class for a second semester. At that point, my mom was super nervous as of to why I was being held back. To my mom’s surprise, it wasn’t because I was failing, but because I was doing so well. He wanted to spend the entire year with me in an effort to get me on the middle school news program (something only 8th grade students were allowed to do) and then train me up to get admitted to Woodbridge Senior High School’s “Center for the Fine and Performing Arts” program. From there I went to the arts high school, then Howard University’s communications program and moved to Los Angeles. It’s funny because when I moved to Los Angeles I had completely dropped the idea of being a news reporter (since at the time I did not know the difference between news reporting and hosting). I came to Los Angeles pursuing acting for 7 years until I would eventually realize hosting was my calling. What do you feel when you are on a red carpet doing interviews? When I am on the red carpet and I see our name placement “PopFuzion TV”, I literally feel just so proud. I mean it’s one thing getting on these carpets as a host for another media outlet, but the fact that I am on them from my own media outlet is just surreal. PopFuzion TV is taking off. How did that come about? Thank you! I am so grateful that people are taking notice of what we are doing. Well PopFuzion TV started out as an online blog that reported on the positive news that went on with celebrities. Our mission statement is “PopFuzion TV fuses pop culture, celebrities, and charities” and we do just that! So any celebrity charity event, we report on it and we just love highlighting the positive aspects of the industry while of course reporting on what’s trending! But now it has evolved into a TV show. A friend of mine named Melody Trice had her talk show airing on a local TV channel and kept encouraging me to do the same. After looking into it, I did all the necessary paperwork and training and submitted my idea to the station! From then came the producing aspect and getting together a production team to carry out the shoot. I joined forces with my two producers and right hands, KT and Gina, and from there they helped me build a solid production team where we began flushing out ideas and concepts and making the show happen! So everything with PopFuzion TV is original and done in house-from the music, the editing..everything! Now the show is airing in Los Angeles on AT&T U-verse and Spectrum and in Virginia on Cox, Comcast, and Verizon Fios. I am just so thankful that it’s growing on top of the fact that we are constantly being invited to cover red carpets. It’s a blessing! In addition to being a media outlet, we are also a production company that offers production services and most recently, red carpet hosting classes. But in all honesty, I could not do it with my supportive family, friends, and everyone involved from day one (whom I refer to as Team PopFuzion). They push me to keep going every single day. What has been your favorite interview to date? 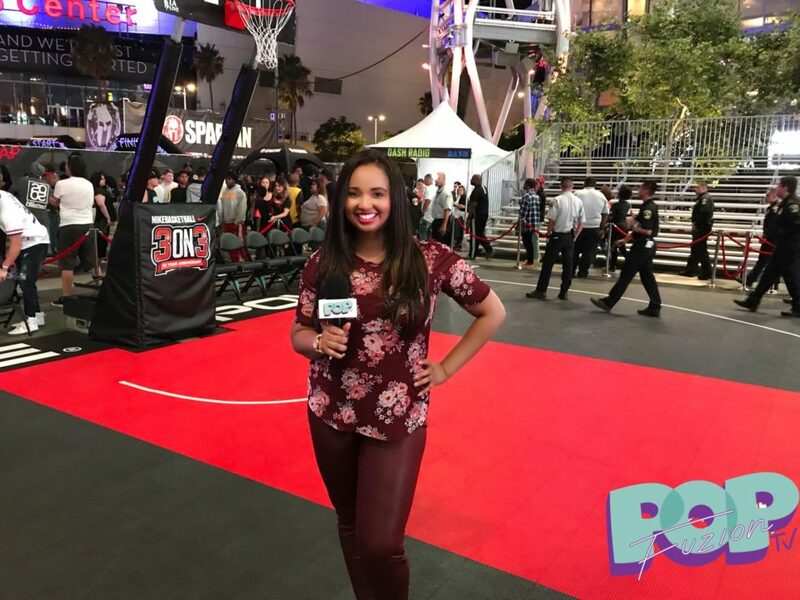 My favorite interview to date was a red carpet I did for the Nike 3 on 3’s charity event at LA Live . The reason why it was so inspiring was because it took place at the location where I had my very first job in Los Angeles. I used to daydream every day at work at how I wish I would have a successful career in the entertainment industry and to be brought back to that very same place where I would daydream, except this time I was there with my own company to cover a huge event! It was just so touching and heartwarming. The first thing I do when I wake up is thank God and say my affirmations. I am big on not touching my phone or even looking at it until I affirm that “today is going to be a good day”! Then I start figuring out what assignments to give my writers, searching social media stories within our niche etc. Red carpet preparation takes a lot. Sometimes we get red carpet bookings last minute and I like to be prepared as much as possible by conducting good research to give my hosts and create good interview questions that make sense for the PopFuzion TV brand. I am always planning segments, going to different locations, booking guests for the next talk show and researching potential sponsors/investors/grant opportunities. The days get pretty busy at times. In addition to that, I am still finishing a college degree, so I’m really working on my time management skills. How much background work does it take to create a short segment for television? I think creating a short segment in terms of the idea is always the easiest part but then when it comes to fitting it into that niche of the show and making people understand your concept is the hardest part. It is always good to research examples and see how other shows/films have carried out the idea so you can give your production team a good solid reference. Everything needs proper planning as well from location, lines/questions, wardrobe-everything! Being a female in the Television Executive world has become the public new normal. How does that excite you and your career? Oh my goodness, it’s SO exciting. Just to know that there are so many amazing and brilliant women working in these roles inspires me. I recently have actually been working with an executive producer named Kathy Sapp who has produced many shows and landed deals on primetime television. Just being able to work alongside her has been inspiring and has helped give me the tools to know what I need to do with PopFuzion in taking it to the next level. I have so many goals. My ultimate goal is to make PopFuzion TV a nationally syndicated talk show; which will happen. With that being said, one of my main goals right now is to get financial backing for PopFuzion TV and be able to have a sufficient budget to shoot more talk show episodes and pitch them to more networks. In addition to that, I am expanding our red carpet hosting classes (Hosting 101) and working on just building the brand overall. Getting a higher social media following and bringing awareness to who we are, our hosts, our team and our overall mission.